How to confront complex challenges as a team? 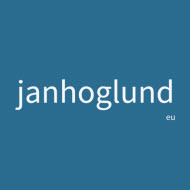 Posted byJan Höglund	 2013-07-17 Leave a comment on How to confront complex challenges as a team? Suspension. A precondition is to stop old habits of judgment and thought, breaking habitual patterns. Redirection: The next step is to start seeing reality from a multiplicity of views. This requires listening to others. Letting go: What might happen next, there’s no guarantee, is a profound moment of “quieting” which helps the team to become aware of who they really are and what they are here for. Entering this state allows the team to operate from a co-creative flow. Reference: Otto Scharmer & Katrin Kaufer, Leading from the Emerging Future, p. 146. Hur införa sociokrati i en organisation? How to apply sociocracy as an individual?